Dec. 13, 2017 -- Turmeric is taking a turn as the latest “super food” to trend. Sales of this pungent spice with a rich yellow hue have risen steadily over the last few years and are expected to keep climbing. Today, turmeric is in everything from supplements to teas, along with claims from supplement sellers and some media outlets that this "miracle spice" can fight inflammation, prevent cancer, defend against Alzheimer's disease, and detoxify your body. Can turmeric really do wonders for your health, or is it just another fad that promises far more than it delivers? The research is enticing, but experts say there isn't enough proof to recommend it for preventing or treating disease just yet. "There is a lack of evidence indicating turmeric is an effective treatment for any health condition," says Craig Hopp, PhD, deputy director of the division of extramural research at the National Center for Complementary and Integrative Health. Turmeric has been a staple of Indian cuisine for nearly 4,000 years. It's also been a staple of folk medicine -- used throughout the centuries to improve digestion, relieve arthritis, heal wounds, and treat dozens of other ailments. In studies, the spice has performed better against some conditions than others. "We know that it's got good evidence for osteoarthritis and high cholesterol -- those are two big ones," says Ann Marie Chiasson, MD, co-director of the Fellowship in Integrative Medicine at the University of Arizona Center for Integrative Medicine. "It also has some evidence that needs to be looked at more." However, study results can vary based on which part of turmeric researchers look at -- the whole turmeric plant, a single compound like curcumin, or a mixture of many compounds, Hopp says. Each one can act differently. "It's also important to differentiate studies that were performed in cells, from those performed in animals, from those performed in people," he adds. A treatment that kills cancer cells in the lab might not do the same once it gets into the human body. And that's part of the problem with turmeric. 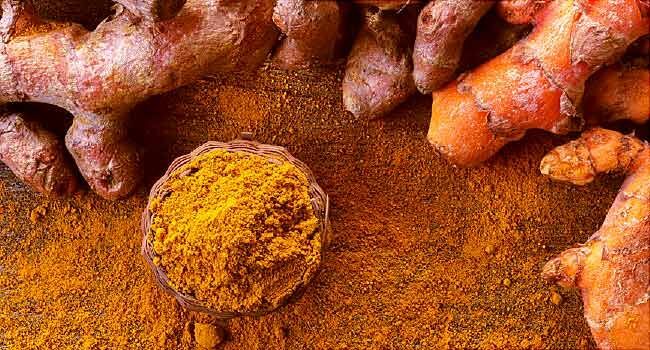 One of the main reasons why your doctor doesn't prescribe turmeric for everything that ails you is that our bodies don't take in curcumin very well. "It doesn't get absorbed by the gut. So you have to eat a boatload of turmeric to get the active ingredients into your bloodstream," says Shrikant Anant, PhD, associate director of cancer prevention and control at the University of Kansas Cancer Center. Taking turmeric with fat or oil has the same effect. That's why Chiasson recommends that you add turmeric to salads and toss it with an oil-based dressing. You can also cook with it -- adding it to curries and other dishes along with oil or pepper to boost its absorption. Researchers are also looking into better ways to get curcumin into the body. Some cancer researchers are trying to deliver curcumin via tiny bundles called nanoparticles. "The curcumin is being packaged into nanoparticles so it will be better absorbed and transferred to the cancer," Anant says. In general, turmeric is considered safe, whether you take it by mouth or rub it on your skin. Studies have found that even large doses -- up to 1,200 milligrams a day -- aren't dangerous. A typical daily dose is closer to 500 milligrams twice a day, says Chiasson. Curcumin might also interact with medicines -- including sulfasalazine (Azulfidine), which is used to treat ulcerative colitis and rheumatoid arthritis. Turmeric could be dangerous if you take it in unusual ways -- such as through an IV. In March 2017, a woman in San Diego died after getting an infusion of turmeric to treat eczema. "I don't ever recommend giving it intravenously," Chiasson says. Even if you take turmeric by mouth, use caution. "With turmeric, as with any dietary supplement, we stress that people follow the label instructions and talk to their health care provider about dosage and any potential drug-supplement interactions," Hopp says. It's always a good idea to ask your doctor's advice before you try any new supplement. Turmeric has a lot of potential as a health supplement, but there isn't enough research at this point to recommend taking it. "In theory, I think it will work, but more studies need to be done," says Anant. The trick will be to figure out how to get enough curcumin into the body to prevent or fight disease. Turmeric also isn't a magic cure-all on its own. It likely works along with other spices and nutrients to promote good health, Anant adds. 3 Biotech: "Curcumin nanoparticles: physico-chemical fabrication and its in vitro efficacy against human pathogens." ABC10 News: "San Diego woman dead after turmeric IV infusion." Alternative Medicine Review: "Anti-inflammatory properties of curcumin, a major constituent of Curcuma longa: a review of preclinical and clinical research." Asia Pacific Journal of Clinical Nutrition: "Effect of different curcumin dosages on human gall bladder." Diabetes Research and Clinical Practice: "Effects of medicinal food plants on impaired glucose tolerance: A systematic review of randomized controlled trials." Expert Opinion on Biological Therapy: "Multifaceted roles of curcumin: two sides of a coin!" European Journal of Pharmacology: "Curcumin in depressive disorders: An overview of potential mechanisms, preclinical and clinical findings." Herbal Medicine: Biomolecular and Clinical Aspects, 2nd Edition: "Chapter 13: Turmeric, the Golden Spice." Craig Hopp, PhD, deputy director, division of extramural research, National Center for Complementary and Integrative Health. Journal of Drug Metabolism & Toxicology: "Effect of curcumin on sulfasalazine pharmacokinetics in healthy volunteers." Journal of Medicinal Chemistry: "The essential medicinal chemistry of curcumin." Materials, Science & Engineering: "Exploring recent developments to improve antioxidant, anti-inflammatory efficacy of curcumin: A review of new trends and future perspectives." Phytotherapy Research: "Effects of turmeric (curcuma longa) on skin health: A systematic review of the clinical evidence." The AAPS Journal: “Curcumin and cancer cells: How many ways can curry kill tumor cells selectively?” "Therapeutic roles of curcumin: Lessons learned from clinical trials." The Journal of Pharmacy and Pharmacology: "Curcumin as potential therapeutic natural product: a nanobiotechnological perspective."